Section 106 of the National Historic Preservation Act mandates consultation between federal agencies and tribal, state and local agencies and groups when planning projects which may affect historic properties. One recent project in north west North Dakota, the Four Bears Bridge on the Fort Berthold Reservation, is a case in point. The deliberations for its construction between tribal, federal, state, and other groups took years of cooperative effort. This sleek segmental concrete bridge was a collaborative design rooted in and reflective of the rich history of the Three Affiliated Tribes, also known as the Mandan, Hidatsa, and Arikara (Sanish). 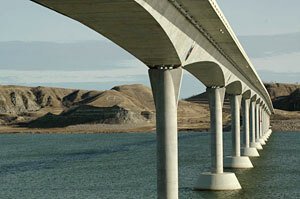 The current concrete bridge replaced another structure completed in 1955, which was a steel bridge that included three spans of "camel back" through-trusses and some flat trusses. 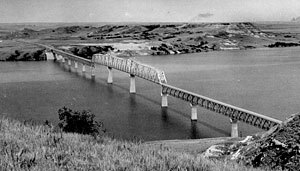 However, the importance of the 1955 bridge was related to the construction of the Garrison Dam, part of the Pick-Sloan plan for the Missouri River, which created Lake Sakakawea and inundated and divided a considerable portion of the reservation. Towns such as Elbowoods, not to mention the richest agricultural and culturally significant lands on the reserve, disappeared as the lake waters arose. The "camel back" truss structure was originally part of an earlier bridge completed between 1933 and 1934 at Elbowoods. Many saw the 1930's "camel back" structures as a tangible link to Elbowoods and a way of life tragically demolished. Through the Section 106 process, agreements allowed retention of portions of the support elements of the nearby old bridge, and the construction of a much wider and safer span that likewise showcased important elements of Mandan, Hidatsa, and Arikara culture. This new bridge will in time become another important historical cultural resource while also serving as a vital transportation link. 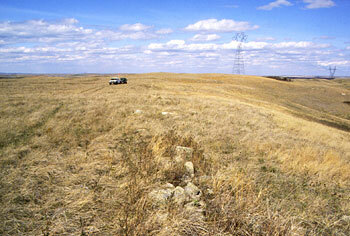 Undertakings proposed by federal agencies are reviewed in accord with historic preservation legislation and regulation. Surface mining activities are an example of an undertaking that has the potential to adversely effect historic properties. Consultation with the Bureau of Land Management and the Office of Surface Mining resulted in the preparation of a Cultural Resources Management Plan (CRMP) for the West Mine Area as part of the review process. 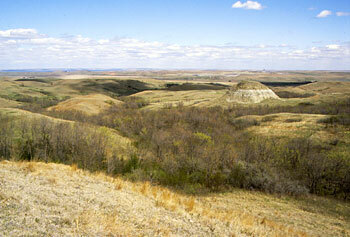 In accord with the CRMP document, land parcels within the West Mine Area containing significant archaeological resources were preserved through a state land trust agreement. 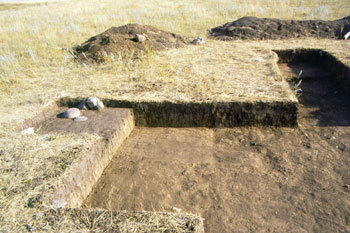 Preservation of significant archaeological resources is not always a viable alternative. Adverse effects to these historic properties are mitigated by approved treatment plans specified in a CRMP. Controlled excavations are used to collect information and generate data with respect to research questions formulated about the significant archaeological sites prior to its destruction by mining activities.